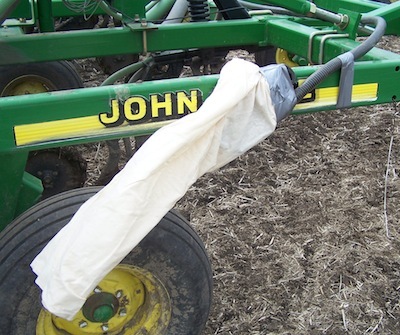 Warm weather, sunny days and bare fields have growers itching to get #plant15 underway. While waiting, take time to get the seeding tool in top shape, prep the sprayer, and put the finishing touches on the rotation plan. 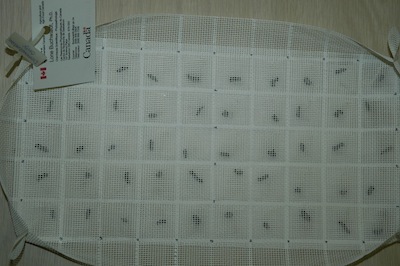 The photo above shows a “sock test” on a drill opener. Have you ever wondered what canola seed looks like after it’s gone through your metering system, hoses, manifolds and openers? A sock test is a good way to find out. 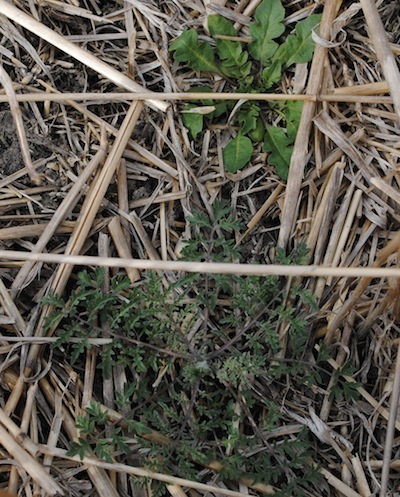 Weeds may start re-growing and emerging sooner this year if the weather stays warm. The more weeds up and growing ahead of the crop, the bigger the return from a pre-seed burnoff. Read more for maps showing the average date of the last spring frost in Alberta, Saskatchewan and Manitoba. Is it too early to seed? Very early seeding increases the frost risk and may not provide a yield advantage over your regular early seeding date. 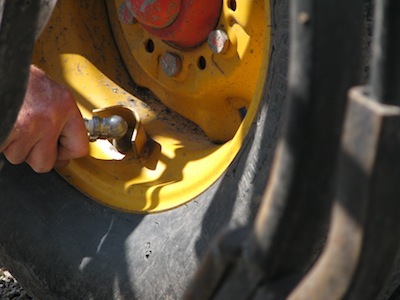 How to get the drill ready for spring: Level side to side and front to back, check each opener for wear, check shank trips, inspect all moving parts, inspect electronics, and do a sock test to make sure the air delivery system is not cracking seed. Scientific research in Western Canada has identified three factors that increase the risk of canola yield loss in short rotations. 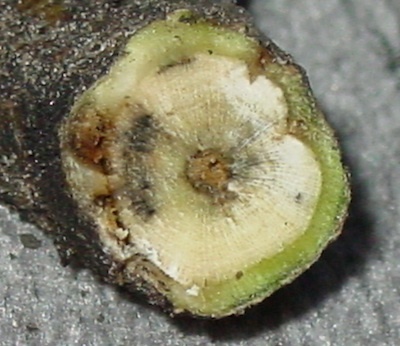 They are blackleg (shown above), clubroot and cabbage root maggot. …The best management option left is the four-year rotation. Discovery of different clubroot pathotypes in central Alberta will change the rotation plans for some growers. No current varieties have strong resistance to these pathotypes. If growers have used resistant canola two or three times already on fields that were infested with clubroot, these fields are at high risk for having one or more of the different pathotypes. Any fields that have had moderate to heavy clubroot infestation are at high risk for pathogen shift to overcome resistance. 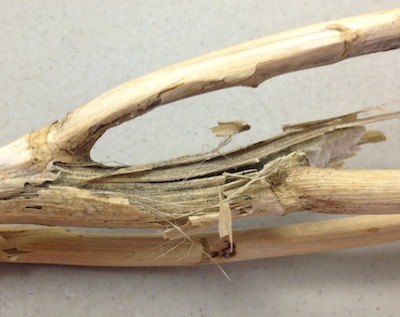 Longer rotation is necessary to slow the pathogen shift that is occurring in these fields. April 13-15 — Canadian Global Crops Symposium, Saskatoon, SK More information. April 15 — Clubroot Information Seminar, Bonnyville, AB More information. June 23 — CanolaPalooza, AAFC Research Cenre, Lacombe, AB More information. July 5-9 — International Rapeseed Congress 2015, Saskatoon, SK More information. Summer job posting — Manitoba Canola Growers Association. Click here for more information.